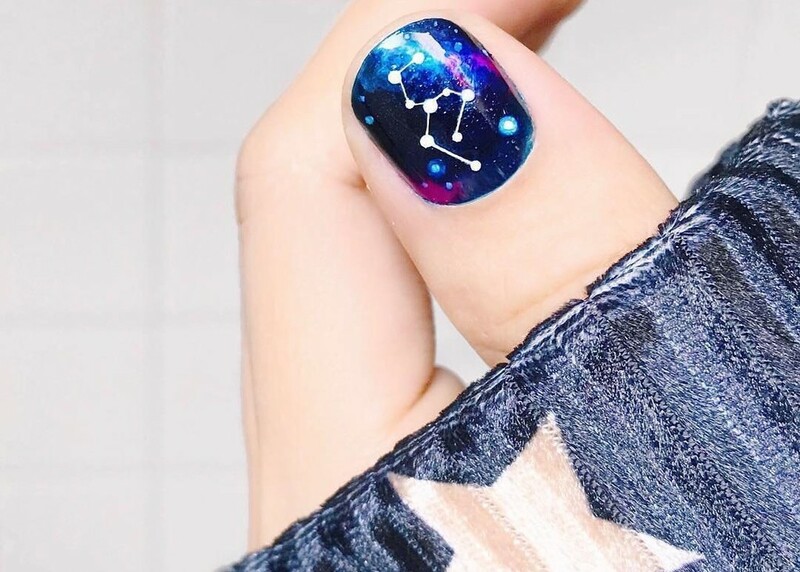 Conéctate con el infinito, constelaciones y mas, esta manicure en sellado mate puede ser la gran diferencia en tu paso… atrevete a llevar las estrellas en tus manos. I painted my nails with Black nailpolish and sponged on a green glitter polish. After I stamped on a planet, an astronaut and a spaceship. I added some white dots for the stars. Finished with matte top coat. I have a love-hate relationship with galaxy manis they never turn out as I plan them in my head. . This one is my solo shot for @_lunasnails’s #galaxyandstarsseptember3 collaboration.